creating dynamic, data-driven, and adaptive mockups so simple. 6. Abstract The last tool I’d like to recommend is Abstract. This tool is essentially GitHub (Stores source code, version control, documentation) for designers. Abstract is used to manage Sketch files, including design systems. It's a great tool for large teams so everyone can review each other’s work. 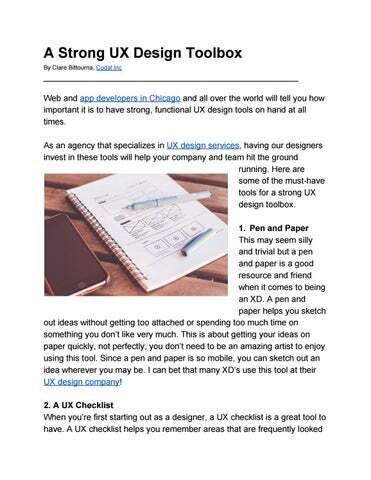 Conclusion If you’re a beginner just getting into UX design, or a seasoned vet who’s forgot what the basic tools are, these are some good examples of what should always be in your UX design toolbox! Looking to work with a ​ux company​ or a Chicago-based ​mobile app development company?​ Are you wanting to develop an app or website or simply want more information on our web design agency? 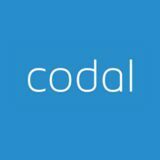 Visit ​Codal’s blog​, or come talk to us ​here​! We’d love to hear from you.